A global engineering and infrastructure advisory firm will focus on stability says the firm’s global head who will stay on. 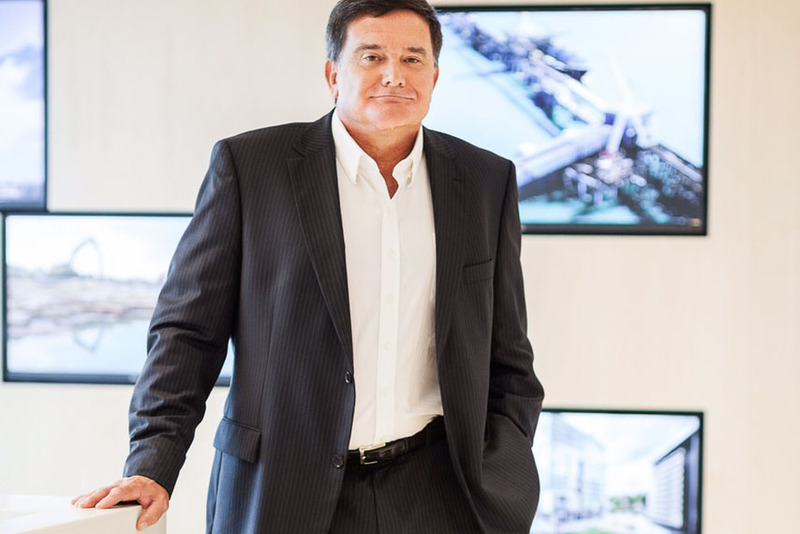 Giam Swiegers believes his time is not up yet as Aurecon’s Global CEO, and has had his contract extended to February 2019. Swiegers would like the company to continue to invest in leadership, innovation and change. “Aurecon will continue to invest in strong leaders who provide not only eminence in their space, but have the leadership style, global mind-set and courage to lead amidst ongoing disruption,” he says. He points to “smart businesses” in the energy, property and infrastructure sectors that adapt well to a changing world. “[This brings] the need to change leadership priorities, capabilities and work practices,” he says. “For Aurecon, this has meant focusing our workforce on quickly adapting and using smart technology or ‘infra tech’, exploring new ways of delivering mega projects, better managing the life cycle of existing major assets and of course up-skilling our leadership and our talent across the globe as we prepare for a very different future. Global chairman Teddy Daka praised Swiegers for his role in promoting steady growth. “We have seen an incredible amount of change within the organisation over the past two years while Giam has been helping us to build a strong and sustainable business with a real focus on the future. Having Giam extend his term will provide us with the stability we need to continue embedding these changes and improvements into our business,” Daka says. The company also announced two more leaders will come onboard. Aurecon has appointed energy guru Dr Alex Wonhas as Aurecon’s new managing director, energy and resources. Wonhas was previously executive director at Australia’s national science agency, leading CSIRO’s environment, energy and resources sector where he oversaw research, development and demonstration activities, as well as the commercialisation of a range of fossil, renewable and demand management energy technologies. He was also a key member of the Federal Government’s Expert Panel for its Energy White Papers. The other new recruit is Dr Abe Nezamian who is touted to be a globally recognised authority on infrastructure rehabilitation, asset integrity management and asset management in the mining, infrastructure and transport industries across Australia, the Middle East, United Kingdom, United States, South East Asia and West Africa. Nezamian is Aurecon’s latest global leader in asset management, which is hoped to be a major growth area for the advisory business.